Every day some news outlet or two publishes a story about lies told by President Trump. It’s funny to me that I never saw, read, or heard any such stories about past presidents or even members of Congress for telling lies. Virtually every member of the U.S. federal political system has been and will be condemned for lying at some point in their careers. Most of the time the lies they are accused of telling are not really lies but paraphrased statements regarding controversial topics, statistics, and policies that raise the rancors of partisanship among those with opposing views. But one thing is certain: whether not it is true, it appears that President Trump has been accused of telling more lies than any other president in my lifetime. If you’re looking in today to read which are the top three lies Trump has told, you’re probably going to be disappointed. Why? We didn’t take the time to analyze each of the 6,000 or so he has been accused of telling. We’ll leave that to political pundits. But what we ARE doing here today is looking at the top three lies from various sources ABOUT President Trump. And trust me: there are many more than three. Trump and/or Trump Campaign members colluded with Russians to change the results of the 2016 election. There is no doubt the horror in Charlottesville, Virginia that occurred during a demonstration in 2017 was a travesty. In the demonstration-turned-riot, one woman was tragically killed. Certainly, President Trump had nothing to do with the demonstration or subsequent violence. But if you pay attention to the national media, you probably think someone in the Trump Administration was on the phone orchestrating the violence — maybe even Donald Trump himself! That statement alone lit the racist cries against President Trump. Who was surprised that the media pounced on that sentence. It has only worsened since. But they all either missed something or have chosen to ignore it. The President by anyone’s description was and is not a polished politician. He often speaks in soundbites as do most businessmen. It is expected for statements of fact to be put in context by listeners. Not so in politics. If you listen to Hollywood elitists, Democrats, civil rights leaders, and leftist media members, the answer is a resounding “Yes!” Based on one sentence? Come on! Only in this divisive political environment would anyone make such an allegation. Why? It’s not based on facts. Do we really want a single sentence taken out of context to determine our racial status in the minds of the entire world? If that was the determinant, there would be no human being deemed to be OK. No, we take decisions, actions, conversations, interactions with a multitude of people and circumstances over a period of years to determine the character of a person. In his history of owning dozens of companies, employing hundreds of thousands of Americans from multiple races, religions, ethnicities, and sexes, there have been NO allegations of racism against Donald Trump over the past 50 years. I doubt the same can be said for any of those who scream the loudest that this President is a racist. We hear that again and again from pretty much everyone who disagrees fundamentally with the Trump Administration. But those statements are absolute lies. Wait a minute: children have been separated from their parents at the southern border. How do you explain that? When an adult crossing the border with a child is detained for criminal prosecution, the child is then considered an “unaccompanied minor” by U.S. immigration law. Thus, while the law itself doesn’t require the separation of children, an increase in prosecution of illegal immigrants has that effect. Former Attorney General Jeff Sessions explained: “If you are smuggling a child, then we will prosecute you and that child will be separated from you as required by law,” Sessions said. Homeland Security Secretary Kirstjen Nielsen said in a press briefing at the White House that children are separated from adults attempting to cross the border illegally to protect them from smuggling or trafficking. They’re only separated when there is no documentation of a custodial relationship, Nielsen said. The real reason for any illegal child being separated from their illegal parent? That’s because of something called the Flores Consent Decree from 1997. It says that unaccompanied children can be held only 20 days. A ruling by the Ninth Circuit extended this 20-day limit to children who come as part of family units. So even if we want to hold a family unit together, we are forbidden from doing so. If a parent makes a claim seeking asylum, they are going to be in that process far longer than the 20 days that a child can be held. Thus, the children (by that decree) must be handed over to the HHS to find temporary foster care. Remember that picture that went viral showing the Trump Administration holding young children being held in cages at the southern border? Those pictures were actually taken of children separated from their parents for the exact same reason during the Obama Administration! Was there a similar uproar from Democrats and the media about those children being held in cages? Nope. More than two years and a reported $50 million later, we have a Special Counsel with a fleet of attorneys investigating around the clock and calendar to find that Russia collusion. None has surfaced. Robert Mueller accepted the appointed as Special Counsel with specific orders to investigate the Trump Campaign for collusion and any other possible criminal matters that may arise from collusion investigations. Yes, there have been multiple indictments initiated by Mueller’s findings, but none having anything to do with Russian collusion. Let’s face facts: we all know that there was NO collusion by the Trump Administration with the Russians. “If” there had been any such collusion, WE WOULD ALL KNOW ABOUT IT IN VIVID DETAIL BY NOW! In the “loose lips” and frenzied anti-Trump media turning over every rock to find anything negative about this President, any such wrongdoing would have been trumpeted (pun intended) throughout America, not to mention the world. No Russian collusion has been exposed. But what HAS been exposed is the real intention of the Democrat Party as led by Congressman Adam Schiff (D-CA). Sunday on CNN’s “State of the Union,” Rep. Adam Schiff (D-CA) hinted that he would not accept the findings of special counsel Robert Mueller as the end of the investigation into President Donald Trump and Russia. 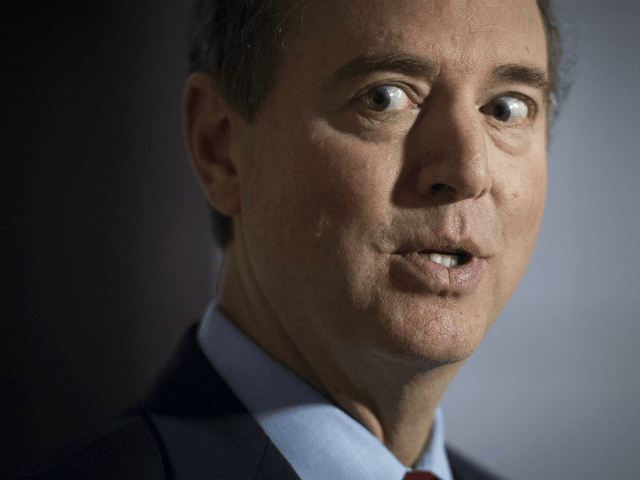 Schiff and other House Democrats have hired new investigative staff and begun to leak to the public their plans to launch their own aggressive investigation in the President even if he is totally exonerated from any wrongdoing. Why is that? THE DEMOCRAT PARTY HAS NOTHING TO RUN ON IN 2020 EXCEPT AGAINST DONALD TRUMP! Without even any little tidbit to throw at Donald Trump in the 2020 campaign, they are justifiably horrified that he will serve a second term. And they certainly don’t care about any of the abundant in a number of achievements in the country under this President, many of which are historical achievements expected by very few. While most Americans watch their bank accounts, 401k’s, IRA’s, other retirement accounts rise like never before in history, they watch the unemployment rate for women, African Americans, Latinos, and young Americans fall to lowest in history levels. Businesses numbered in dozens and dozens are expanding, raising employee wages, and re-patriating billions of dollars being held offshore for decades. DEMS DON’T CARE! In fact they are horrified at these Trump accomplishments. Why? This doesn’t fit their Leftist political agenda. This wasn’t supposed to happen! How’s That playing with Americans? This month the Trump approval number in the non-partisan Rasmussen poll climbed above 50%. In short, there certainly are things about this president that many would love to see changed. That is probably true about every past president, too. But what is certain to this journalist and more than half the nation is that Leftists in Congress, the Democrat Party, and especially in the Mainstream media are piling on Donald Trump with many allegations that are untrue. 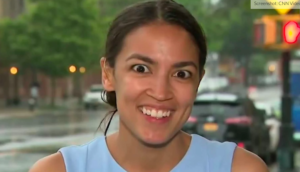 Let’s watch as the frenzy called the Democrat Party unfolds with candidates jumping into the race get more and more radical, all the while sending Democrat voters straight into the Trump column. The “Walkaway” campaign membership is growing everyday! Few will argue that the uproar about Trump since his election as President has created a huge divide right down the middle of our country. It seems that everyone has taken sides — Left and Right, Conservative and Liberal, Democrat and Republican. And the divide parallels America’s political persuasion. But the divide really is a Constitutional crisis. The crisis is this: will Americans embrace our founding document or run away from it, finding a NEW way of governing. The crisis is one that is certainly not based on facts, the law, right or wrong, but is a direct product of American emotion: those on the U.S. political left cannot stand this President. Reason, historical precedence, and the fact that this President — ANY President — is voted INTO office and can be voted OUT OF office the same way. Our forefathers came from a world where elections like ours did not exist. A class of elites determined everything — for everybody. They ran as far and fast as possible from that environment, returning the power those elitists held in Europe to the People. The “Mob” summarily rejects that form of government, even though they loudly proclaim their support for our representative democracy. But they want it both ways. That’s where our Constitutional Crisis comes from. The authors, accomplices, and dupes of this attempted overthrow of constitutional government are now well along in reciting their misconduct without embarrassment or remorse because—in fired FBI Director James Comey’s formulation—a “higher duty” than the oath they swore to uphold the Constitution compelled them. Or—in fired FBI Deputy Director Andrew McCabe’s words—“the threat” was too great. Nevermind that the nature of “the threat” was that the people might elect someone he and Comey disapproved of as president and that that person might actually serve his term, as elected. The dossier of salacious gossip and defamatory falsehoods amassed by a retired British spy from the lowest grade of intelligence sources in Russia, commissioned and paid for by the Clinton campaign and Democratic National Committee, was circulated to the media by high public officials and cited in illegal and dishonest applications to authorize surveillance of the campaign of the other presidential candidate. A special counsel was empowered on the false pretext of the necessity to get to the bottom of Trump-Russian collusion in the election, of which there was and remains no evidence because it did not occur and was a complete partisan fabrication. 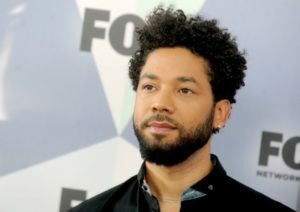 This unorganized but widespread campaign of defamation was taken up by a great number of ordinarily newsworthy celebrities and was accompanied by false, unresearched stories denigrating President Trump’s supporters, such as the false claims about Catholic school students’ treatment of an elderly native American and the false claim that actor Jussie Smollett had been beaten up and reviled by Trump supporters. The former intelligence chiefs of the nation under President Obama repeatedly have accused this president of treason, the most heinous of all crimes, and have asserted with the authority of their former positions that the Russians determined the result of the 2016 presidential election. They knew this to be entirely false. We watch it all the time: a news story quotes “unnamed sources” that claim that the President “might” be a Russian agent. Never mind McCabe is a proven liar. Never mind he is personally under investigation awaiting certain prosecution for committing at least one felony, never mind he is alleging major wrong against a sitting president. Never mind that McCabe and his fired mentor James Comey used that “might be a Russian agent” as a basis to begin the FBI probe of Trump that morphed into the Mueller probe. All that matters is they “think” there “might be” evidence that proves that. Those allegations, or “suspicions” — not “evidence” — were used to get the FISA court to authorize electronic surveillance of the Trump Organization. Providing “fake” and unproven evidence in a FISA application is a felony! Then there’s this: a Supreme Court nominee was accused by a woman of sexual assault at a party 30 years ago that caused her irreparable harm and psychological damage while proving the nominee unfit to serve. None of the witnesses she stated would testify on her behalf to prove those allegations would do so. No evidence….no witnesses….her testimony nearly destroyed the life of a now seated United States Supreme Court Justice. Both of these are examples of exactly what Americans face daily in the instant 24/7 news environment in which we live. And the questions that arise from such stories seem to be unending: Who do we believe? Were the allegations true? If not all, which ones are true and which are false? And almost every time we face such questions, we must make a decision to believe or disbelieve all or portions of what we hear. But if we cannot be certain about elements of these and other stories, how can we make good, logical and informed decisions? And such decisions are often monumental! Decisions of this magnitude can determine outcomes of national elections, who the President of the United States is, our Governors, Mayors, U.S. Senators, and Congressmen. We MUST get it right. Unfortunately for Americans, we have no legal requirements that force absolute and accurate information from these national news sources, or from any one individual or group. 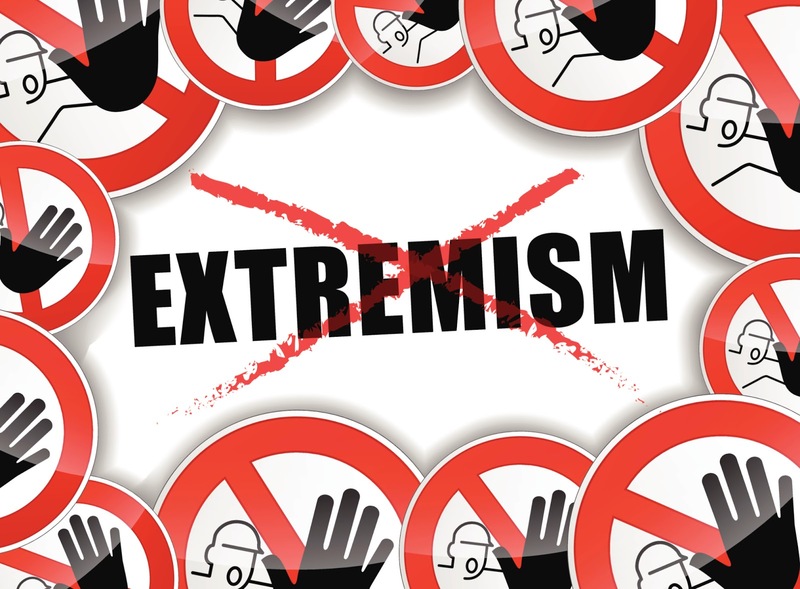 The First Amendment “absolutely” protects all individuals, corporations, and groups from liabilities associated with disseminating incorrect information. And it seems that the legal protection mentioned here encompasses EVERYTHING and that there is NO requirement for the truth and NO penalty for untruth. Wait a minute: there are libel laws, right? There certainly are. But, obviously, they are on the most part ineffective — so much so that most of such laws that have actual “teeth” in them are at the state level. And protection under the First Amendment gives illegitimate individuals and organizations a “free pass” for lying most of the time. One would think defamation could best be handled in a uniform and universal way at the federal level so that truthfulness would be a news and information requirement with stiff penalties for NOT being as portrayed. Alas, legal precedence regarding existing laws does NOT favor the truth. “In the latest in a long line of attacks on freedom of the press, President Trump has once again threatened today to change libel laws to make it easier to sue news organizations, publishers, and others after the publication of an unflattering book. “We are going to take a strong look at our country’s libel laws so that when somebody says something that is false and defamatory about someone, that person will have meaningful recourse in our courts,” Trump said. We’ll give you some specific thoughts on all this. But first, let’s take a quick look at the “legal” history of defamation, how we got to where we are, and what defamation regarding truthfulness really is today. The origins of the United States’ defamation laws pre-date the American Revolution; one influential case in 1734 involved John Peter Zenger and established a precedent that “The Truth” is an absolute defense against charges of libel. (Previous English defamation law had not provided this guarantee.) Though the First Amendment of the U.S. Constitution was designed to protect freedom of the press, for most of the history of the United States, the U.S. Supreme Court failed to use it to rule on libel cases. This left libel laws, based upon the traditional “Common Law” of defamation inherited from the English legal system, mixed across the states. The 1964 case New York Times Co. v. Sullivan, however, radically changed the nature of libel law in the United States by establishing that public officials could win a suit for libel only when they could prove the media outlet in question knew either that the information was wholly and patently false or that it was published “with reckless disregard of whether it was false or not.” Later Supreme Court cases barred strict liability for libel and forbade libel claims for statements that are so ridiculous as to be patently false. Recent cases have added precedent on defamation law and the Internet. 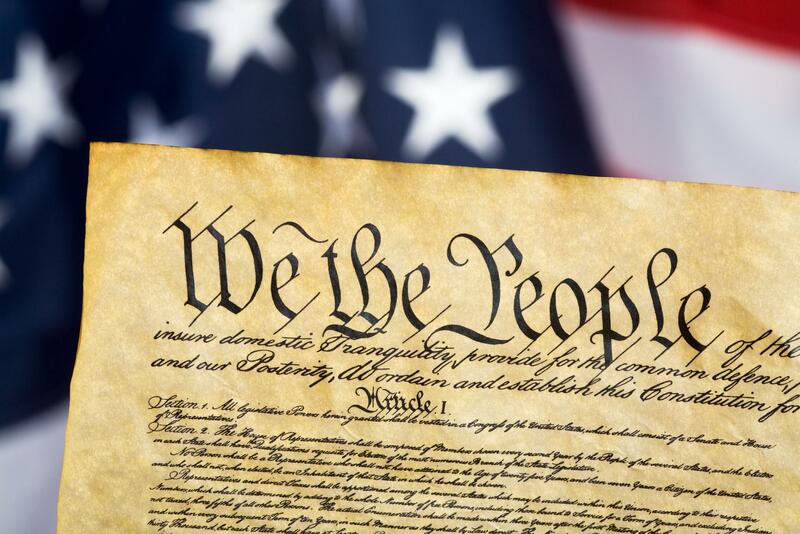 The First Amendment guarantees of Freedom of Speech and Freedom of the Press provide defendants in the United States significantly more protection than the countries of the Commonwealth and Europe. Some variation exists among the several states to the extent the state’s legislature has passed statutes or its courts have handed down decisions affecting some elements inherited from the common law. Some states connect what constitutes slander and libel together into the same set of laws. Criminal libel is rarely prosecuted but exists on the books in many states, and is constitutionally permitted in circumstances essentially identical to those where civil libel liability is constitutional. Defenses to libel that can result in dismissal before trial include the statement being one of opinion rather than fact or being “fair comment and criticism,” though neither of these is absolute on the US constitution. Truth is an absolute defense against defamation in the United States, meaning true statements cannot be defamatory. Most states recognize that some categories of false statements are considered to be defamatory. People making a defamation claim for these statements do not need to prove that the statement was defamatory. In one of the most famous cases, New York City publisher John Peter Zenger was imprisoned for 8 months in 1734 for printing attacks on the governor of the colony. Zenger won his case and was acquitted by a jury in 1735 under the counsel of Andrew Hamilton. Governor Morris, a major contributor in the framing of the U.S. Constitution said, “The trial of Zenger in 1735 was the germ of American freedom, the morning star of that liberty which subsequently revolutionized America.” Zenger’s case also established that libel cases, though they were civil rather than criminal cases, could be heard by a jury, which would have the authority to rule on the allegations and to set the amount of monetary damages awarded. The First Amendment of the U.S. Constitution was designed specifically to protect freedom of the press. However, for most of the history of the United States, the Supreme Court neglected to use it to rule on libel cases. This left libel laws, based upon the traditional common law of defamation inherited from the English legal system, mixed across the states. The Zenger case did not, however, establish a precedent. In 1804 Harry Croswell lost a libel suit in People v. Croswell when the Supreme Court of New York refused to accept truth as a defense. The following year the New York State Legislature changed the law to allow truth as a defense against a libel charge, breaking with English precedent under which the truthfulness of the statements alone is not a defense. Other states and the federal government followed suit. In 1964, however, the court issued an opinion in New York Times Co. v. Sullivan dramatically changing the nature of libel law in the United States. In that case, the court determined that public officials could win a suit for libel only if they could demonstrate “actual malice” on the part of reporters or publishers. In that case, “actual malice” was defined as “knowledge that the information was false” or that it was published “with reckless disregard of whether it was false or not.” This decision was later extended to cover “public figures,” although the standard is still considerably lower in the case of private individuals. Defamation law in the United States is much less plaintiff-friendly than its counterparts in European and the Commonwealth countries, due to the enforcement of the First Amendment. One very important distinction today is that European and Commonwealth jurisdictions stick to a theory that every publication of defamation gives rise to a separate claim so that defamation on the Internet could be sued on in any country in which it was read, while American law only allows one claim for the primary publication. In the United States, a thorough discussion of what is and is not libel or slander is difficult, because the definition differs between different states. 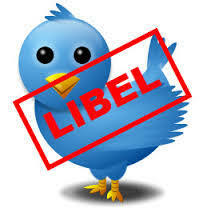 Some states join what constitutes slander and libel together into the same set of laws. Some states have criminal libel laws on the books, though these are old laws which are very infrequently prosecuted. Washington State has held its criminal libel statute unconstitutional applying the state and federal constitutions to the question. Most defendants in defamation lawsuits are newspapers or publishers, which are involved in about twice as many lawsuits as are television stations. Most plaintiffs are corporations, businesspeople, entertainers and other public figures, and people involved in criminal cases, usually defendants or convicts but sometimes victims as well. In no state can a defamation claim be successfully maintained if the allegedly defamed person is deceased. Section 230 of the Communications Decency Act of 1996 generally protects from liability parties that create forums on the Internet in which defamation occurs from liability for statements published by third parties. This has the effect of stopping all liability for statements made by persons on the Internet whose identity cannot be determined. All states except Arizona, Missouri, and Tennessee recognize that some categories of false statements are so innately harmful that they are considered to be defamatory per se. In the common law tradition, damages for such false statements are presumed and do not have to be proven. Those 23 states and territories are: Alabama, Florida, Idaho, Illinois, Iowa, Kansas, Kentucky, Louisiana, Massachusetts, Michigan, Minnesota, Mississippi, Montana, Nevada, New Hampshire, New Mexico, North Carolina, North Dakota, Oklahoma, South Carolina, Texas, Utah, Virginia, Wisconsin, Puerto Rico, Virgin Islands. The U.S. is one of the only countries on Earth where harm that results from untruths stated or printed carry no consequences for those who initiate those. Don’t get me wrong: protection under the First Amendment is of the utmost importance to us all. It was crafted because those in the British Commonwealth could not say anything about the government or governmental wrongdoing without paying a horrible price. But the unfettered ability to say or print pretty much anything about others with absolutely no accountability for those thing being truthful is devastating. And it’s pretty unrealistic. We see the horrors from such every day. What’s that old saying, “You can’t put the genie back in the bottle,” or “you can’t take back what you said.” Those are both true. But is it realistic to such things as the circus of the Brett Kavanaugh SCOTUS nomination and confirmation in which multiple people publicly defamed him with apparent lies? He could have missed the opportunity of a lifetime for which he and thousands of other Americans study for, practice for, and aspire to achieve: a seat on the United States Supreme Court. It is unimaginable to think that such action could legally occur simply because someone or some people — for the purposes of stopping another from such an achievement — could lie, fabricate false circumstances and make unsubstantiated claims against someone, and can do so with no recourse whatsoever for what they said and what their saying those things do to the person or persons they are attacking? I doubt our forefathers had that in mind. The states listed above have acted on the fact that the federal government has done virtually nothing to protect Americans in this regard. Unfortunately, those protections are not the same from state to state and on the federal level are unenforceable. Why hasn’t Congress done something about it? Could it be they are afraid that any such federal legislation would be struck down at the Supreme Court? Are all the members of Congress so callous they don’t care? Or is it because they are afraid they (who most of are attorneys) are incapable of crafting legislation that would 1) protect innocent Americans from reprehensible talk, written or electronic allegations from those who don’t have the truth, or have the truth and will not give it, or simply make up defamatory stories to hurt others? No doubt Freedom of Speech is guaranteed. But there is no prevention in the First Amendment of holding those who unjustly bear “false witness” against another American that is severely damaging in its untruth. Our extremely intelligent legislators could surely craft a law that would pass muster. Why haven’t they? I think for political purposes, they like it open-ended just like it is. Politics have become so dirty, so nasty, and so divisive that maintaining the unfettered legal permission to go after one’s political opponents in any way felt necessary is something they want to protect. Shame on them for that! It’s time to have the ability to protect our integrity from lies, misrepresentations, and innuendo. Let’s protect the truth and encourage its use in a public and open environment. While doing that, let’s send a message that we encourage all to tell the truth all the time. But when you don’t, there will be a price to pay. The warning with this is: Know for certain that if you lie about someone, there WILL be a price to pay. If it’s true, feel free to tell it. If it’s not, know there’s a price to pay if you DO say it. Do you have all this stuff figured out in D.C.? On one hand, we have what seems like 80% of Congress pushing-back on everything this President wants to do that requires legislation. They end up passing into law a boondoggle of a bill that is full of pork and gratuitous spending provisions that are hidden from citizens. All the while, they simply refuse to enforce the southern border: period. But the logjam and misanthropy on the part of leftists for Donald Trump does not just extend into the legislative branch of government. The Judicial Branch is full of it as well. We knew of the corruption in the Department of Justice. We watched as the Obama DOJ initiated some of the most incorrigible and illegal programs and acts the resulted in the deaths of a number of Americans. But what is worse is than we thought. 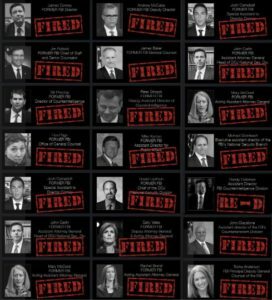 Any accountability by the perpetrators of those acts and programs (which reach as far as the Obama White House) were just summarily dismissed by almost everyone in government! Until today, we have seen just a scant fraction of those unspeakable acts exposed. And every day, more new atrocities at the hands of Congress and the DOJ show their ugly heads. Today, in Part I of “In Full Disclosure…” we will reveal the Congressional villainy that has plagued America’s lawmaking process for so long and costs American taxpayers trillions of dollars. We will disclose the attitude of entitlement that is nowhere else more obvious than among members of Congress who with impunity year after year literally “steal” billions from us in the name of doing what’s best for Americans. Members of the U.S. House of Representatives now controlled by Democrats feel that the power their majority gives them is a permission slip to intervene at any time in any way they so choose in the government funding process to reward their minions while penalizing their opponents with the power of money. Nowhere else is this illustrated better and in a more timely fashion than the funding bill, “Consolidated Appropriations Bill, 2019 (H.R. 648)” President Trump just signed into law to keep the government open. But that bill does MUCH more than just that. 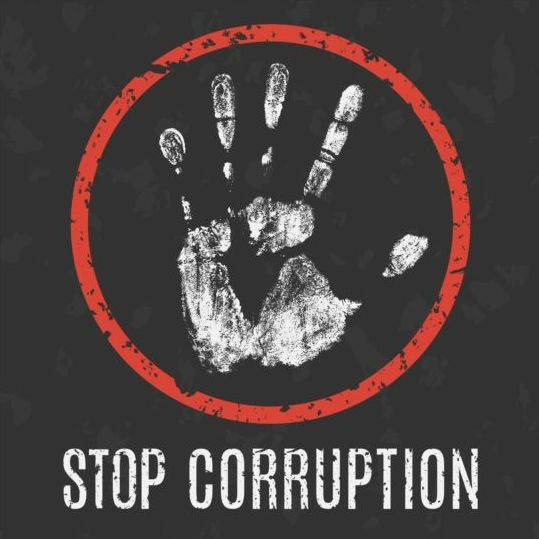 It includes multiple examples of the graft and corruption that literally fuels Washington D.C. In Part II of this story, we will together peel back the layers of the onion called “Corruption” in the Department of Justice. Part II comes tomorrow. 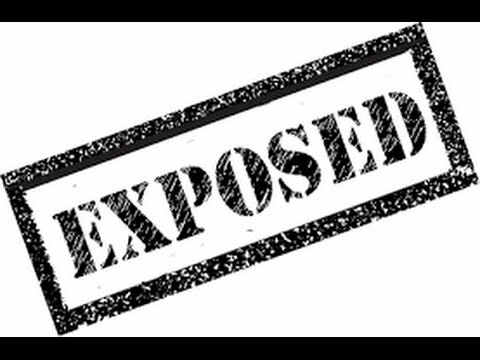 Folks, this expose’ has been fun to research and put together for you. Even though we knew we have horrible issues in Washington, it has been unnerving to uncover them and to learn just how far-reaching into the dark corners of government they have been. This ride will certainly be unsettling for you. Nobody could wait for this bill to be passed by each house of Congress, be signed into law by the President, and start the erection of that southern border wall while protecting government employees from another work stoppage when government funding expired. It passed just in the nick of time! Of course, everybody got everything they wanted, right? WRONG! But they got a lot — an 1169 page bill full of $$$$$ — OUR dollars and cents. You haven’t read it yet? I cannot believe that! Everybody should have read the bill — especially those who passed the bill: members of Congress. But, as usual, NO MEMBER OF CONGRESS HAD READ THE BILL BEFORE VOTING! They each received copies of the bill — all 1169 pages — at midnight the night before the vote. It was impossible for any one of them to read and understand everything it includes. But as usual, Congress followed the Nancy Pelosi instructions that accompanied Obamacare: “We must pass the bill so that we can know what’s in the bill.” They passed it; it’s law. It’s lengthy, it’s verbose, it continuously refers one back to the Omnibus bill from 2018, so let’s just summarize its contents for you. Obviously, the linchpin in this bill was funding of “Trump’s” border wall. It is amazing to me that in discussions of a bill that funds the entire federal government with about $1 trillion through September of this year, the only item that receives discussion is a tiny segment of a barrier that constitutes less than $2 billion — the “wall.” But Congress had to address it to prevent another government partial shutdown. It did. And it was a pittance. The bill provides a de facto amnesty pipeline for all illegal alien household members of MS-13 gang members who arrive in the United States as “Unaccompanied Alien Children” (UACs). As part of a bipartisan “compromise” spending package, lawmakers included provisions that prevent federal immigration officials from deporting anyone who has close contact with UACs who are readily resettled throughout the U.S. with so-called “sponsors” after being trafficked across the southern border. These sponsors are often times illegal alien relatives, in many cases parents, of UACs. 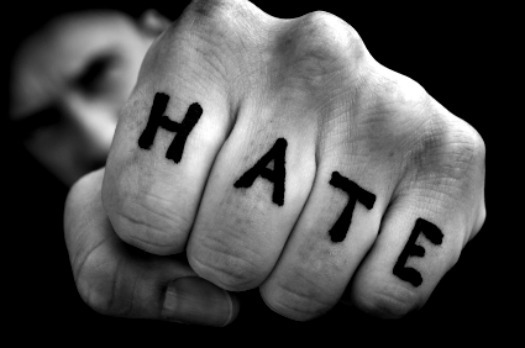 Federal officials have repeatedly noted how the UAC program has been widely used by the MS-13 gang to import more gang members into the country. The new law mandates that the White House have approval from left-wing Starr County, Texas officials before the Department of Homeland Security (DHS) can begin building a wall at the region’s U.S.-Mexico border. But there’s still more. I know you may find this hard to believe, but there are a bunch of “gimmicks” included in the almost 1200 page monstrosity that, only now, are showing their ugly little heads. Changes in Mandatory Programs are one of the most commonly used gimmicks in the appropriations process. On paper, mandatory spending is delayed, creating new savings that can be put toward unrelated discretionary spending. In reality, the vast majority of the delayed funding would never have been spent in the first place and generated no real savings. Each year, billions of dollars in new spending is enabled through Changes in Mandatory Programs. The largest change each year is delayed spending from the Department of Justice’s Crime Victims Fund. The bill caps spending from the Crime Victims Fund at $3.35 billion dollars in the fiscal year 2019. However, that fund consistently carries a balance of around $13 billion, meaning that any unobligated balance above $3.35 billion can now be captured as savings and used to circumvent the Budget Control Act caps. And the Crime Victims Fund is not the only Change in Mandatory Programs. In the fiscal year 2018, changes with no real savings increased spending by nearly $18 billion. The area of the bill with the most potential for harm is in the critical areas of immigration enforcement, particularly detention beds. As the number of caravans, children, families, and asylum seekers has drastically risen, the administration has been handcuffed by loopholes and prevented from quickly removing many illegal immigrants. The result is that many illegal border crossers or asylum seekers are “caught and released,” and many will disappear into the public and never be seen again. The Trump administration has attempted to limit catch and release, both at the border but also in the interior, by expanding the number of detention beds. In this bill, Democratic efforts to set a hard cap on immigration detention were stopped, but the bill does try to push the administration to reduce the number of detention beds by limiting funding. That said, the administration is allowed to transfer or reprogram funds to expand detention, but does so at the expense of other homeland security programs. In essence, the bill forces the Department of Homeland Security to steal from other important security and preparedness missions in order to fulfill the immigration enforcement mission. Critically, the bill fails to address the key loopholes in U.S. immigration law that have encouraged the drastic increases in asylum claims and families and children coming to the border. Without fixes to these loopholes and other immigration enforcement tools, border security is only a superficial fix and detention beds will always be too few. The omnibus includes a 1.9 percent pay raise for federal employees, costing roughly $3.3 billion in 2019, and more than $40 billion over the next 10 years. This overturns a December 2018 executive order from President Donald Trump freezing federal pay. And, for more than half of federal workers, it serves as their second pay raise in 2019 because federal workers receive both cost-of-living increases as well as step increases based on tenure. On average, federal employees receive $121,000 in total compensation, compared to average private-sector total compensation of $69,000. Part of this differential stems from the fact that federal workers have more education and experience, on average, but studies consistently find that federal employees receive a significant compensation premium. The text of the 1,169-page compromise bill was released just before midnight on Wednesday, February 13, 2019. Both houses of Congress had to debate and vote on it. It was already law two days later. Once again, Congress is ignoring its own budget rules. The House requires that text of legislation be available for at least 72 hours before a vote is held. This is not the way the process is supposed to work. It leaves no time for lawmakers to even read the bill, let alone have a chance to debate and offer amendments to improve the legislation. That’s just a symptom of the larger problem. The fiscal year is already more than four months old and Congress still hasn’t finalized funding. If lawmakers were doing their job and passing budget and appropriations bills on time, continuing resolutions, omnibus bills, and government shutdowns could become obsolete, or at least the exception rather than the rule. 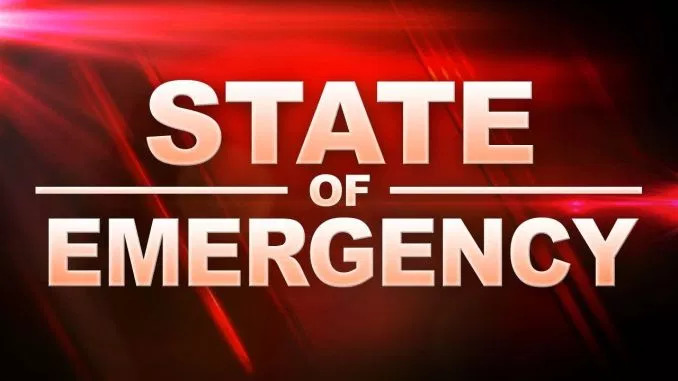 Democrat after Democrat from both sides of the aisle have taken to the airways and declared how unjust, un-American, and illegal is the declaration of a national emergency and the subsequent plan of the President to divert funds to pay for the construction of the border barrier. Even several Republicans are against the wall! It’s purely partisan and in no way reflects any actions contemplated or taken against the previous 61 such declarations made by this and other presidents. Politics at its worse. We won’t waste a bunch of time, but Nancy always chimes in with a quote of remarkability when it comes to Congressional matters of historical nature. At a news conference, House Speaker Nancy Pelosi railed against Trump declaring a national emergency, saying Republicans “should have some dismay to the door that they opened, the threshold they crossed.” She continued, “The precedent that the president is setting here is something that should be met with great unease and dismay by the Republicans and, of course, we will respond accordingly,” Pelosi said. Rep. Will Hurd, R-Texas, whose districts covers about 800 miles along the U.S.-Mexico border, said on The View that the declaration was “unnecessary” and expressed concerns about the land seizures that would have to take place in order to build the wall. The corruption in Congress is unfathomable — until now. 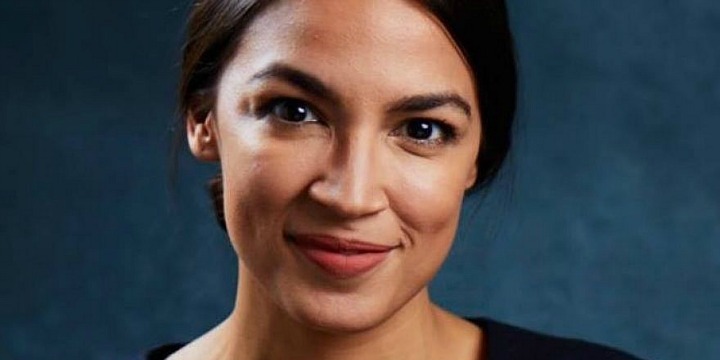 Let’s be perfectly clear and honest: on the most part, those who serve in either house of Congress face every bill presented for their consideration, not from the perspective of “how do we need to process this measure to maximize all our resources to best facilitate meeting the needs of American citizens?” Their almost unilateral perspective — Democrat AND Republican — is “how can I get what I need out of this bill: money, power, and favorability among voters in my district.” Their perspectives blow as the political winds in D.C. blow on the particular day of their considerations. The bottom line is this: truthful consideration of the resources we give to them, the needs that WE have, and the rule of law are GONE in Congress. Have members of Congress gotten that message? With the spending bill passed simply to temporarily pacify the President with the pittance allocated for the border barrier, apparently Congress still has not gotten it. And here’s the look “down the road” current members of Congress and those who want in better see and understand: Congressional hypocrisy is being exposed in greater measure than ever day after day. And Americans in seeing the corruption is being summarily rejected. Sending those members home is just part of the equation. Prosecution for wrongdoing is pending. There WILL be a price to pay. They have underestimated this President. He’s not stupid — far from it. His validity resonates far greater with Americans than the abomination being unearthed in the midst of today’s lawmakers. And it’s not just in Congress: it’s in the Department of Justice. 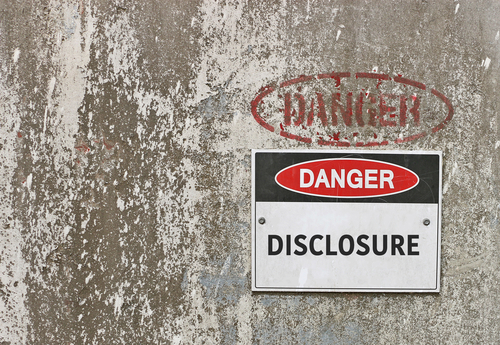 Tomorrow come back for “In Full Disclosure…Part II.” The DOJ is front and center. You think you know all the corruption there is there? Get ready: there’s far more than you know today!